2014 started off well with a successful experiment: an IFAD project being designed together with talented local young professionals. In an unprecedented initiative, four young professionals working in Malawi’s water sector participated in the design of a new rural irrigation project. While their intention was to learn, they delivered much more than that, leaving a long-lasting impression on senior government officials and IFAD country director Ms. Abla Benhammouche. Since June 2012, IFAD's Policy and Technical Advisory Division’s Water Unit has been implementing a small but ambitious pilot project targeting early career professionals from five countries in sub-Saharan Africa: “Filling the Inter-Generational Gap in Knowledge on Agricultural Water Management: Twinning Junior and Senior Experts”, or Jr/Sr Twinning in short. This capacity building exercise under IFAD’s Innovation Mainstreaming Initiative (IMI), was developed to prove the effectiveness of inter-generational cooperation and field-based mentoring to transfer knowledge from Senior to Junior experts, and thus to ensure the continuity and sustainability of water management in agriculture, nurturing a new wave of local experts. The project ended in October 2013, leaving behind the contagious enthusiasm of its first batch of Junior participants and a vibrant interest in the stakeholders arena. The four young Malawians, Eshiperancar, Marnet, Mphatso and Violet, had just finished working as IFAD junior fellows under the Jr/Sr Twinning project when the opportunity came to participate in the design mission. As such, the four spent three weeks with the mission team, taking part in all the activities on the field and in Lilongwe, working on a specific set of tasks and outputs. Their involvement in the mission was an invaluable opportunity to experience first-hand how the design of large donor funded projects works, and to prove that their contribution can really make the difference. The article below was written by the four Junior fellows at the end of their mission. It’s their wake up call for additional investments targeting promising young talents from the South, to make youth participation more than just a fashionable buzzword. Now it’s up to IFAD and other development actors to take their message seriously. For more information on the initiative contact Federica Franco. More often than not, young qualified professionals are left out in development activities. In a large part, this is because of their lack of practical hands-on experience. Regrettably, they are the same people who are expected to take over from the present generation. The question we would like to pose therefore is: how can young generations take over in the near future if they are not equipped for their upcoming responsibilities? If the young generations are to ensure the future of food security and the sustainable use of natural resources, one of the key areas of focus of policies and interventions should be building up their capacity and empowering them. Today, governments and institutions are designing the future of our countries, yet they’re overlooking the fact that the future will not be in their hands, but rather in those of the now young professionals who will be there to implement and reap the fruits of such decisions. Let us recognize and embrace the need to transfer critical expertise to the youth, uplift them and enhance their capacity! As young professionals in the water sector, we feel that the incorporation of our views and opinions under guidance of senior experts, can effectively build up our professional competency and prepare us to address the dynamic issues we will face in the future. Knowledge transfer and inter-generational cooperation strengthen our self-confidence to ably tackle future challenges, and as experienced professionals discuss problems and solutions among us, we can really think: ‘I am the future and I am going to be part of it when it will happen’. The IFAD Jr/Sr twinning programme was a great opportunity to showcase our potential, and to advocate the need to include us in decision making processes. 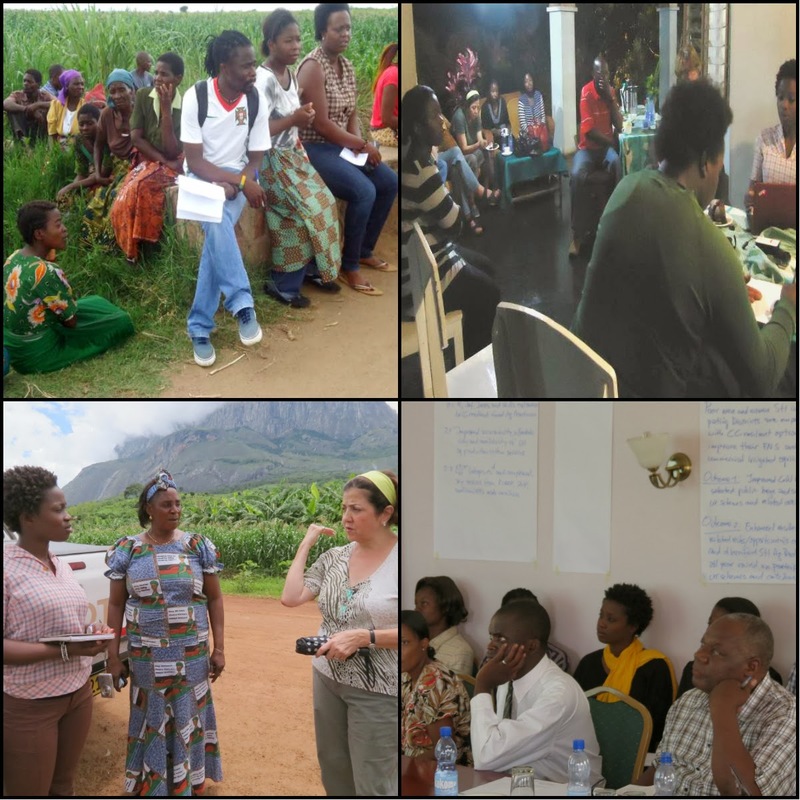 Our experience with IFAD’s mentorship programme has been fruitful and productive. Thanks to the programme, we improved our technical, analytical and writing skills, we strengthened our capacity in development research, project implementation and reporting, but also immensely benefited from the close collaboration with rural communities. We got acquainted with setting up career priorities and professional goals through the use of the Personal Development Plan and evaluations. Taking part in the IFAD design mission, we worked on our time-management skills and gained significant exposure to big donor-funded projects. Overall, it has been a successful professional enhancement for us. We commend IFAD for this brilliant initiative and urge to continue investing in youth empowerment programmes, so that more young experts will be reached out to. May other organisations follow IFAD’s example and introduce similar initiatives targeting local junior professionals: only together we will be able to work towards building a better future.